I spend a good portion of my life watching the clock. Everything always becomes a countdown, a race to the minute, a mile-long list of boxes to be checked. Here, in Panama, time does not seem to exist. I wake up to the sound of the people around me getting ready, and I spend the whole day mosey-ing through my work. 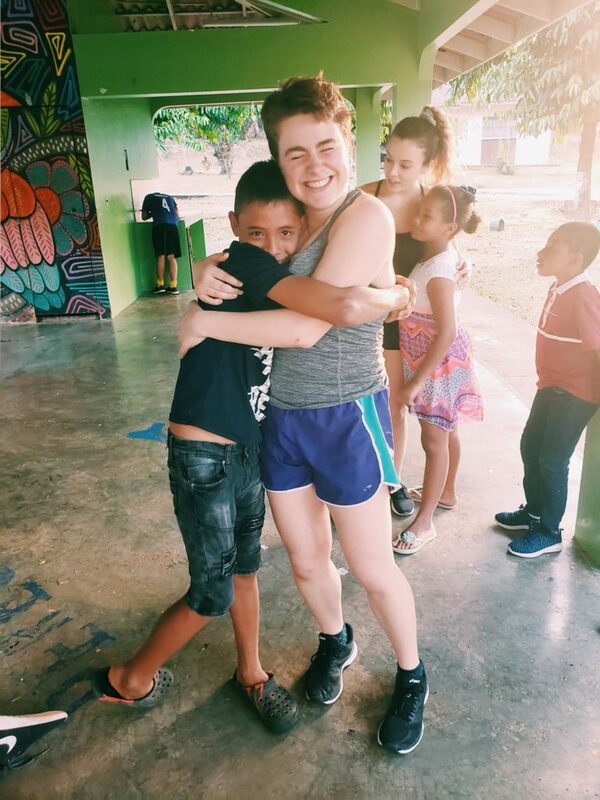 The two hours we spend teaching every day often bleeds into hours spent playing, taking Snapchat photos with caritas (filters), and muchos abrazos (lots of hugs). Even though my high school Spanish allows me to understand some of what the dancers say, my most frequent sentence is still ¿Cómo se dice…? (how do you say?) while pointing and gesturing to explain what I mean. The dancers are so patient, and some of them have spent so much time with me, retraining me to put the emphasis on the right syllables and to conjugate the verbs correctly. I have a long way to go, but that does not seem as daunting now. I did not have a lot of expectations going into this trip. 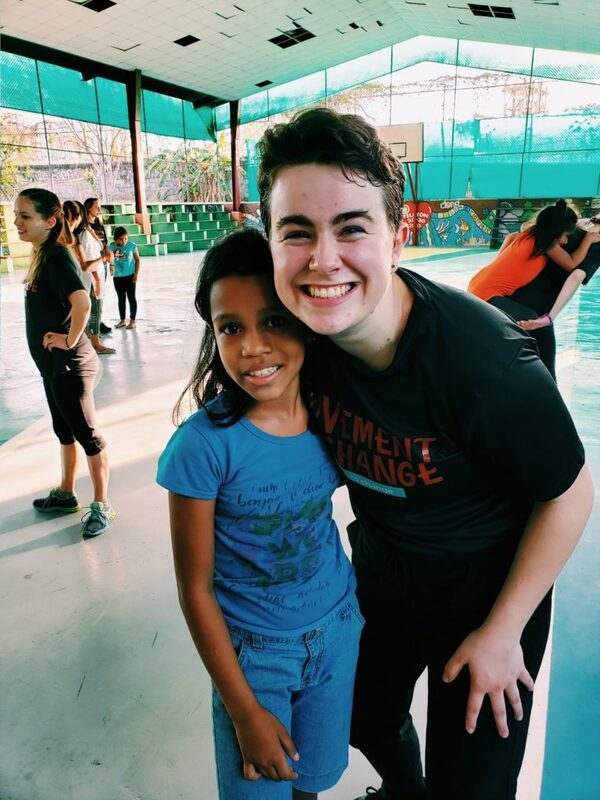 When I started college, I knew I wanted to do service, practice teaching dance, and speak Spanish, so I started researching opportunities as early as possible. An older dance friend mentioned Movement Exchange to me, and I immediately tried to put a trip together (for two years in a row). Three years later, here I am, sitting in Casco Viejo, almost done with my dance exchange. 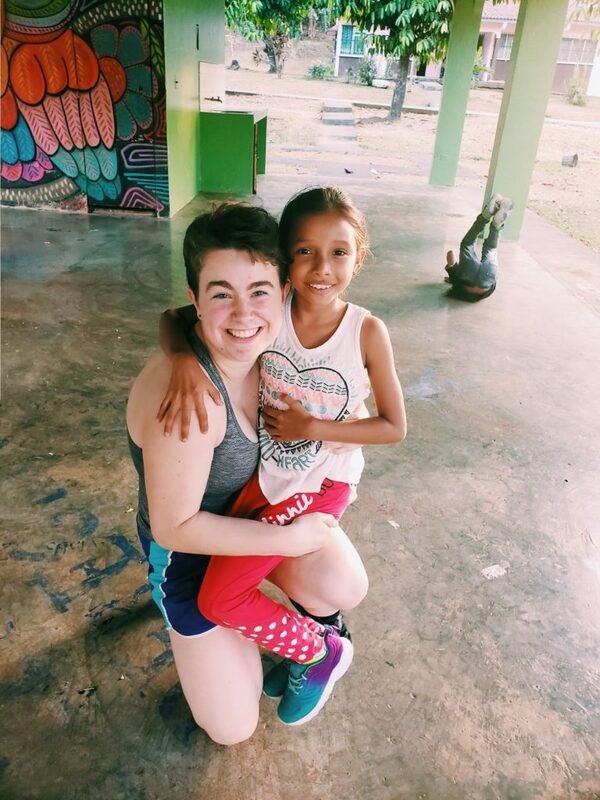 I wished for this for so long, I spent the trip overwhelmed with just being in Panama. Even the Panamanian heat feels good for a change, which is something I never thought I would have said. The dancers at Aldea and Malambo have changed my life and opened my eyes to a world of dance I thought only existed in my dreams. In my experience, the world of dance is not always kind – it bears deeply elitist qualifications, entrenched in issues of race, class, gender, and sexuality. This week has not departed from these problems existing in dance, rather, it has showed me dance can exist despite these issues. 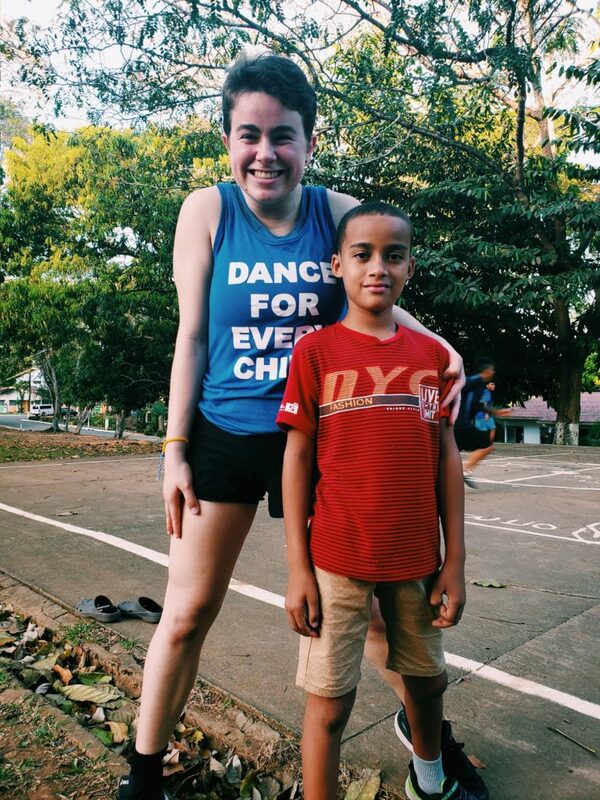 Not only does dance exist here in Panama, but it thrives. To dance is to be political. Every time these dancers shake their hips and practice posing, they assert their bodily autonomy. They are creating and sharing choreography every day, and they generously offered so much of their work to us. I now have a full Spotify playlist of Latin songs and dances to go with each of them. Each movement speaks all the words I cannot understand, and I have realized that dancers and kids here are often just like the ones in Los Angeles. I want dance to be kinder. I want it to be equitable. I want it to bridge artistry and inclusivity. I want dance to interact with identities and intersections without forcing them into premade boxes. 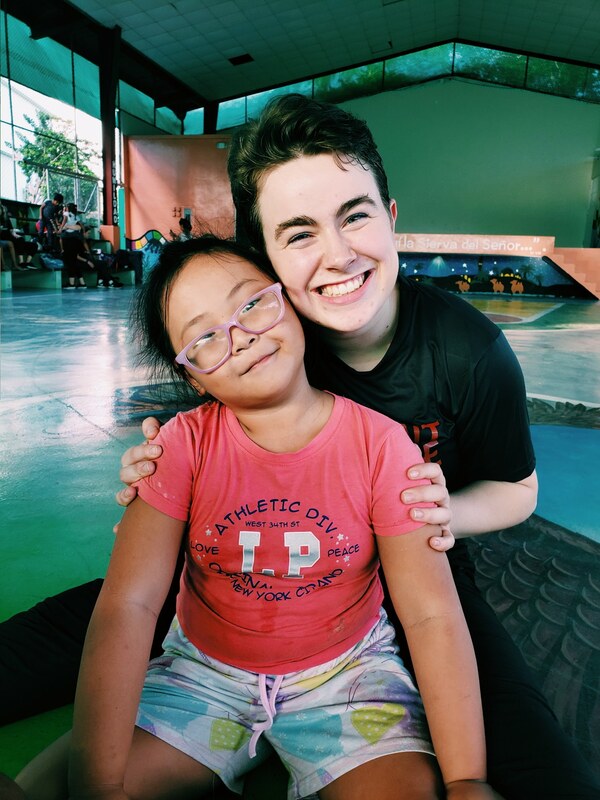 I want dance to claim the ones who are left behind, to kiss the bruised knees of over-ambitious five-year-olds, to give middle schoolers confidence, and to allow high schoolers the freedom to create without the fear of being wrong. At the beginning of this week, my goal was to live in the moment and the feelings and the mess of it all. In many ways, I have. I have left boxes unchecked this week in favor of holding hands with little dancers and trading moves with the older ones. Still, I feel I have so far to go, and I know this exchange will shape the course of my life as a dancer. My heart cracks open at the sight of these dancers, and it aches when I say tchao (goodbye).